The other day I received a mail from a blogger friend of mine Anuradha requesting me to do a guest post on Fibromyalgia. Fortunately for me, she also had given links to learn more about what it is and rightly so because, as millions of others, I too was ignorant of this condition. Fibromyalgia is a chronic condition. People suffering from fibromyalgia experience severe pain all over the body along with several other symptoms. It is classified as a syndrome, which essentially means that a group of signs, symptoms and characteristics occur together. There are no specific laboratory tests to diagnose fibromyalgia and hence it is a diagnosis of exclusion. That means the patients have to undergo plenty of tests to rule out other diseases. And if that was not enough, the symptoms and the intensity of pain varies from person to person. There is one common thing though - fibromyalgia patients have pain all over the body, mostly all the time. They also experience fatigue all the time thus resulting in limited physical activity. Add to it fibro fog - memory and concentration problems! No wonder then that many people with fibromyalgia end up quitting their jobs or opt for work from home careers. 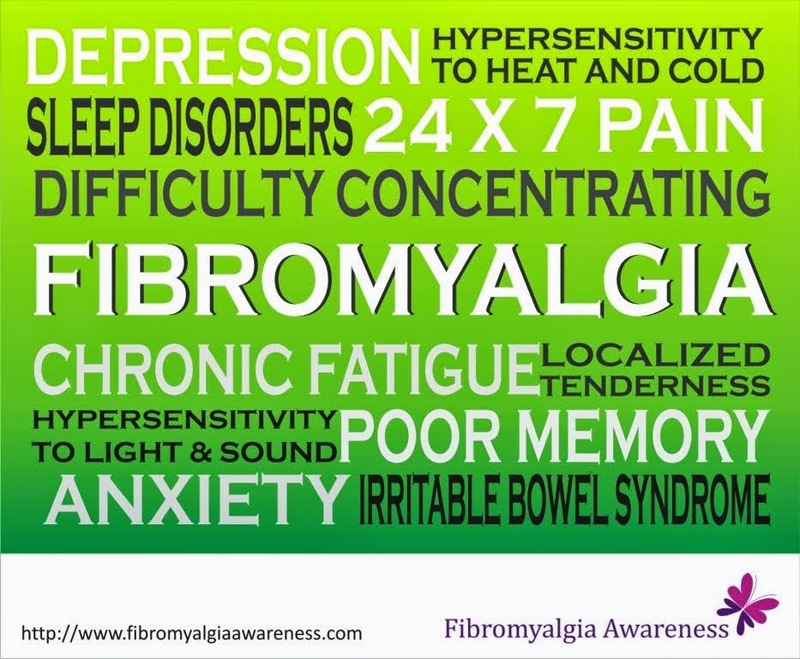 The worst problem is that due to lack of awareness fibromyalgia is often misunderstood. There is tremendous emotional stress when family, friends, colleagues and even some doctors do not believe that the person is actually very sick. There is no established cure for fibromyalgia yet. In fact, people with fibromyalgia can never really say they don't have it any more! Moreover, one can’t say if the condition will improve or worsen with time. It is indeed a rare condition which needs tremendous awareness and understanding from all concerned. So guys, please do your bit towards understanding and spreading the awareness to ensure we learn to make lives liveable for all those victims of this rare condition called Fibromyalgia.